1. Follow below steps to active callertune in these states – (Andhra Pradesh, Karnataka, Assam, Chennai, Andman & Nicobar, Jharkhanda, West Bengal, Nort East, Kerala, Bihar, Kolkata, Orissa). 2. Follow Below steps to activate free callertune in these states ( UP, Punjab, Maharashtra, M.P., Chattisgarh, Haryana, Jharkhanda, Gujrat, Himachal Pradesh & Rajashthan). 1 . 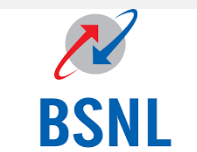 Validity of BSNL free callertune will be of 15 days. 3. Offer is valid for limited time period. How to change the song of callertune for free.